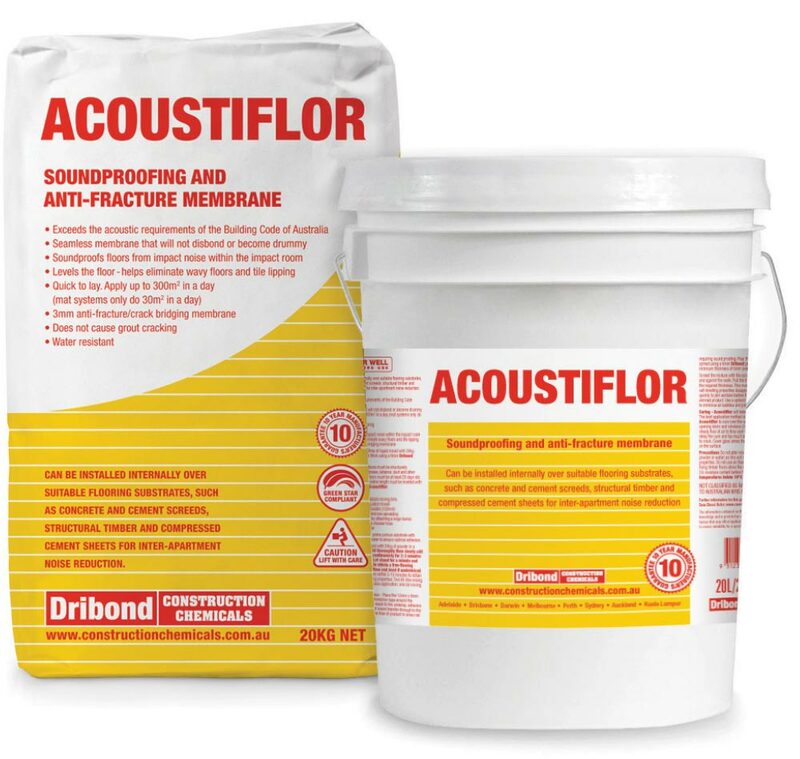 Soundproofing ceramic, porcelain and stone tile adhesive. 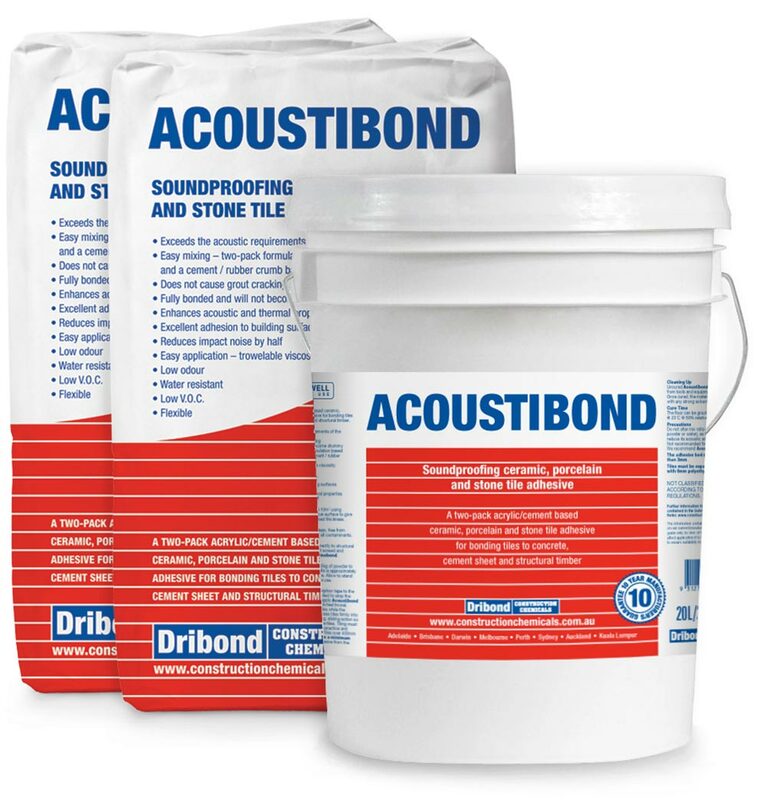 2 x 12.5kg powder plus 20L liquid / 8-10m² using 15mm notched trowel, over a true surface to give a minimum 3mm dry adhesive bed thickness. 20 litres of liquid mixed with 20kg of powder covers 7m² at 6mm thick using a 6mm Dribond pegged trowel.